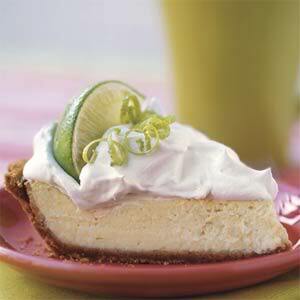 “Oh, by the way,” as I kissed his cheek hello, “you bought me a slice of key lime pie and a coffee for Mother’s Day. Thank you,” I grinned. My man smirked at me, slightly quizzically, as I walked in the door from studying at a bookstore coffee shop last night. Now I have a very romantic husband. He woos me in roses, avocados, cheeses, books and baskets. This blue eyed man also takes turns cooking meals and helping with laundry and dishes. This week, though, as we had been waiting with bated breath to see if we’d get the house we put an offer on, and already presumptuously researching repair costs for the new place, we had been holding off spending money on other items. 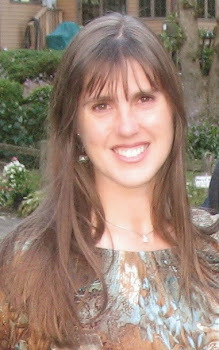 Mother’s Day was relaxing, sunny, celebrated with special cards, and savored by time with extended family. In finishing Ezekiel this week, I grinned when I came across God giving his people gift ideas. “This is the special gift you are to offer…” Fractions of wheat, barley, oil, and one sheep from every two hundred are what he asked for in Ezekiel 45:13. Later, bulls and goats are talked about. Different occasions warranted different gift ideas, different sacrifices. God whispers his gift ideas to us also. In the book of Acts we hear that God set up the ocean currents, artistically created the diverse and beautiful range of ethnic groups, and created minutes, hours, days, years. God writes: Here’s a gift idea. I want to connect with you… Here’s what I made for YOU. Do you like the oceans, waterfalls, bottomless caves? Did you see my mountain ranges, coral reefs, floating ice bergs, and still-unexplored jungles? Did you hear of the polka-dotted snake, and the black flower scientists are even now just finding…? Love, God. I’m humbled and floored, and silently love him more. Nature screams his artist heart, and his ancient words speak of love and relationship with me, with you. So precious.... and He formed me so unique and all me. Thank you God and thank you Jennifer. Such a lovely reminder. I love the gifts of nature God has made for us to enjoy. They seem to mean more to me with each passing year. Love how they inspire worship and help me feel more connected to him, too. I am so pleased to meet you! Thank you for stopping by my site. Yes, I am humbled by his love for us, and by his artist heart. Nature inspires me to worship God too-- so much! Have a wonderful week. How are your daughters doing? I was delighting in being a daughter just today. Happy Thursday! :) I like God's comment to you: "Just say yes, Amy!" Beautiful. Such a new perspective - God tells us what gifts we can get Him. Thank you for sharing this, Jennifer. Hello. Yes, that grabbed my attention too --seeing God give US gift ideas. It made me think and smile. How goes the art life this week?